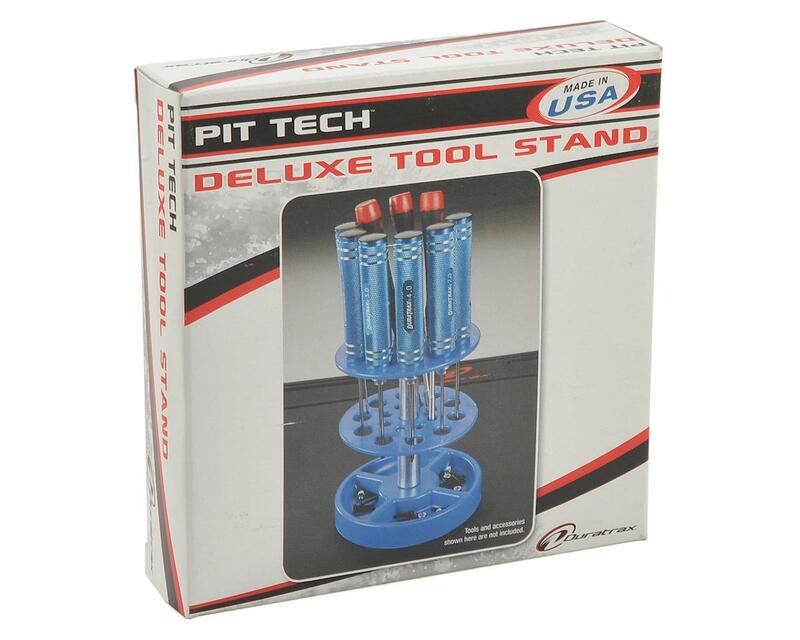 The Duratrax Pit Tech Deluxe Tool Stand is made from durable high-impact polystyrene with an aluminum center post, and features eighteen holes for screw drivers and other tools. The molded base has four compartments for keeping small parts, screws, etc. organized. 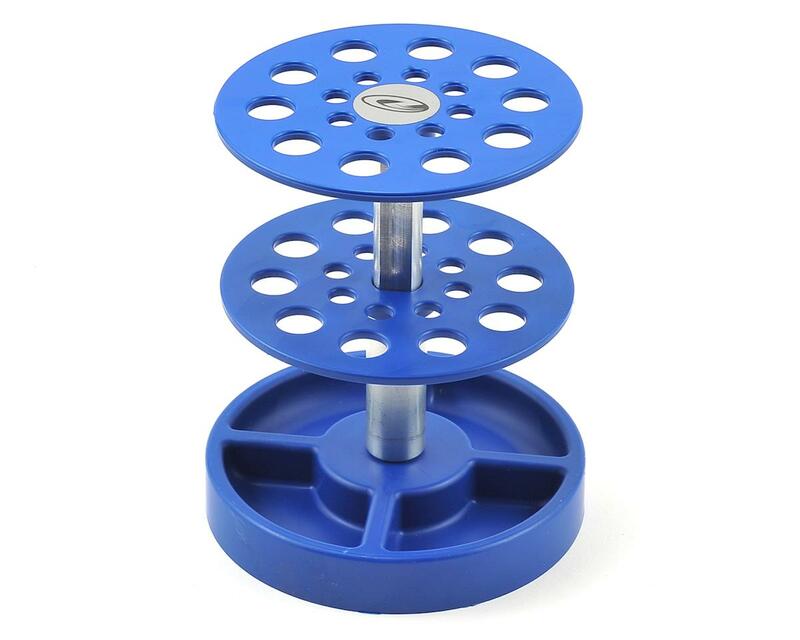 To keep your workspace as clear as possible, the shock stand can also be disassembled and stored flat. Eighteen holes in the top and center plates hold screw drivers, hex drivers, nut drivers and many other RC tools. Molded base includes four compartments to hold small parts, screws, etc.